As I told you guys a while ago, I had a personal goal to put a keyboard shortcut interface back into Navisworks. That command line project isn’t quite done yet, but I wanted to share the backbone of the system. To make my project viable, I had figured out what the ExecuteCommand method actually did. Unfortunately, there wasn’t any documentation of any kind. Which left me an obligation to put some out there; it’s pretty EPIC! I am really not kidding, this is very obscure stuff here. 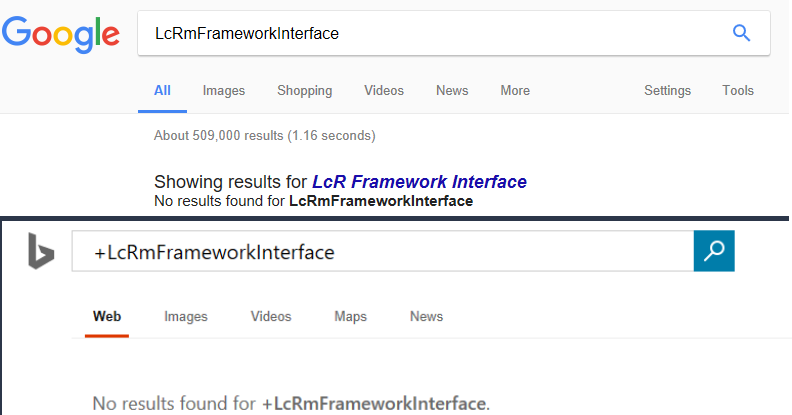 I’ve looked everywhere I can think of and there isn’t a single google hit for the “LcRmFrameworkInterface” namespace which owns the ExecuteCommand method. The official documentation doesn’t mention it anywhere either, but it does have references to ExecuteCommand in the context of the user CommandHandlerPlugin namespace; which would never lead you down the path I’m about to. If you’ve ever tried to customize RoamerCommands.xml then you know why I wanted to bypass it and make an entirely new method for initiating Navisworks Commands. Here is a basic example of what you would find in there, but picture 1800+ lines like that ands its just a mess. you will have to add references to Navisworks.Gui.Interface & Navisworks.Gui.Generic to utilize this collection. However, the most important part of what we see in that code block is “RoamerGUI_OM_MODE_WALK”. The act of pressing CTRL+2 does start the walk tool, but it does this by sending that specified Command ID value into the LcRmFrameworkInterface.ExecuteCommand method. Navisworks is actually loaded with hundreds of GUI Command ID strings, but until recently I didn’t realize they meant anything at all to me; I just figured they were part of the biggest internal SelectCase/Switch statement ever. Other than the RoamerCommands.xml, I assume there is zero documentation for all the various command definitions that Navisworks can actually function with. So, lets hope that this xml is largely dynamically generated directly from the UI elements referencing them upon every release. If not then we are largely dependent on the Dev team to disclose them to us through RoamerCommands. I will probably go try to collect them all from the UI elements myself and compare them against the XML someday, but for now I feel like I have a lot to explore. Note: There are some other interesting things in the LcRmFrameworkInterface namespace I still plan to explore. Maybe I will do some future posts on other items hiding in there later. All we have to do is put “RoamerGUI_OM_MODE_WALK” in as the string argument and from what I can tell you can pick any of the LcUCIPExecutionContext enumerators you want. It is pretty obvious to me that the ExecuteCommand wants to know exactly what told it to do work. What I don’t know is if any particular context actually yields a different results or if it is just purely a micromanagement system. There are some interesting ones in there I have some hope for. Fine examples would be eSCRIPT & eCOMMANDLINE. I am hoping I can someday discover a context of combining a Command ID with a value designation. A notable example would be setting the “RoamerGUI_FOV=45” or something like that. The DLL example at the bottom of this does give you the ability to manually plug values, while using whatever context setting you want directly into the ExecuteCommand method… Should you want to try your hand at figuring out the possible extended syntax too…. Note: you should use the fully qualified namespace (or some version of a using/imports statement), but in the examples below I will simply reference the value of 16 to denote the eTOOLBAR context. Here I will show you a couple of interesting ways you could use this, but note that the 2017 RoamerCommands.xml has 475 unique Command ID’s you could potentially leverage to your advantage; I suspect many of these will be significantly smaller footprints for the way experienced Navisworks developers currently accomplish some things. The provided C# project download (not the DLL download) has a complete list of Command ID’s that exist in the RoamerCommands.xml file. Just note that it is reading YOUR RoamerCommands.xml and if you’ve modified it in any way, then what you see in the Dock Panel may not be complete. I think by now you get the drift. There are a ton of things that the ExecuteCommand can do for us (primarily from the interface perspective) that may be otherwise difficult (or impossible) to perform in other ways with the Navisworks API. Lets move on to the code/plugin take away. This plugin is presented as a utility for developers to potentially find & test Command ID’s they may want to utilize. This is not intended to substantially extend the usability of Navisworks and everything it can do is already available through the interface in one way or another. Furthermore, it is important to note that many functions will throw an error. In those scenarios, there are either circumstances that have not been met (like having selected objects) or the Command ID directly represents a control that isn’t necessarily translated without a specific value input. This is exactly why I so badly want to find some way to provide that secondary value directly to the ExecuteCommand method. Note that I made the field where it loads a command for execution entirely open for arbitrary input; feel free to plug random values in it. If anyone out there figures out a syntax for providing additional values to a Command ID, then please let me know! This link contains both 2017 & 2018 Plugin DLL’s. This link downloads the C# project solution & code so you to build your own for whichever version you want. There are some other XML files containing additional specialized command ID’s, but I haven’t explored them and I leave them for your own exploration. The provided code may contain some stuff that doesn’t entirely make complete sense. I stole a few functions from my Navisworks Console project that hasn’t been released yet. I did make an attempt to scrub the obvious stuff out, but I suspect I could have missed something. Posted in Navisworks.Tagged Command ID, ExecuteCommand, LcRmFrameworkInterface, LcUCIPExecutionContext, Navisworks API, Navisworks WPF Plugin, RoamerCommands.xml. Your blog post title is missing an ‘s’ in NavisWorks.